CH SaltyDawg Twice Baked CD RA OA NAJ NF WWD CGC TDI AOM SROM "Baker"
One of the TOP TEN PWDs in breed in 2006! Ranked number 11 in 2005 at 2 years of age. 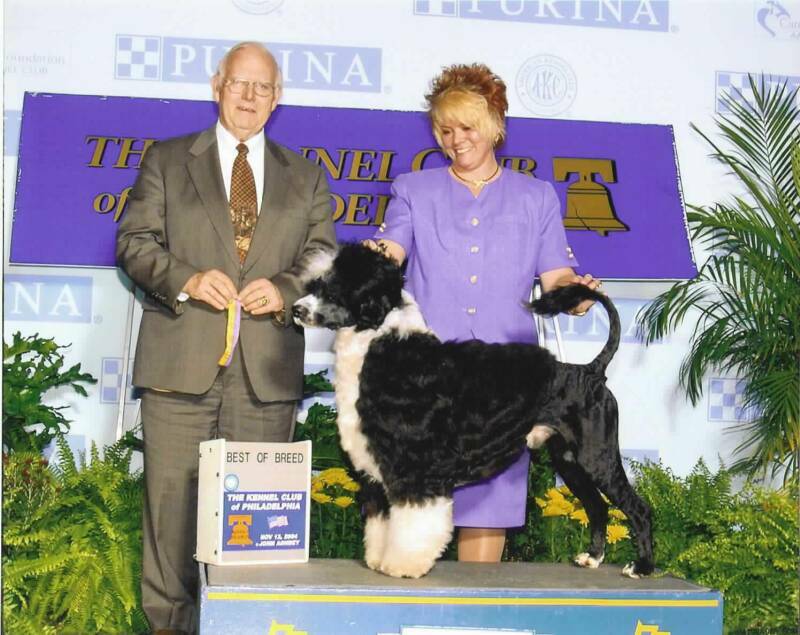 Below left: November 2004 Baker wins Best of Breed at the televised Kennel Club of Philadelphia's "National Dog Show" handled by Erika Griesbach. 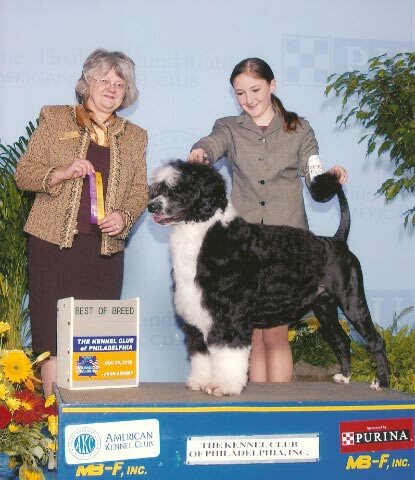 Above: November 2005 Baker wins Kennel Club of Philadelphia handled by 14 year old Colleen Farina who also wins Best Junior in Show and a $1250 scholarship. 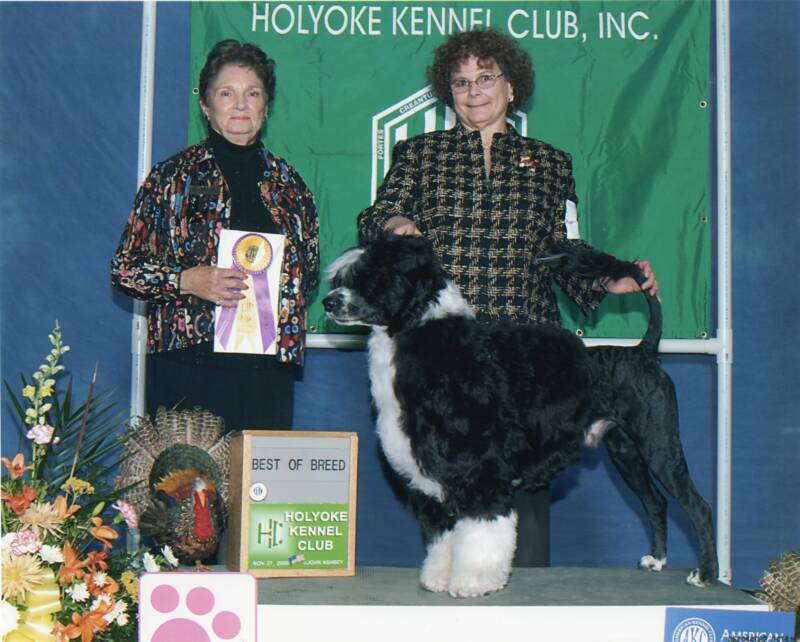 Above left: November 2006 Baker again wins Best of Breed at the Thanksgiving Day televised Kennel Club of Philadelphia's "National Dog Show". This time with his Mom! 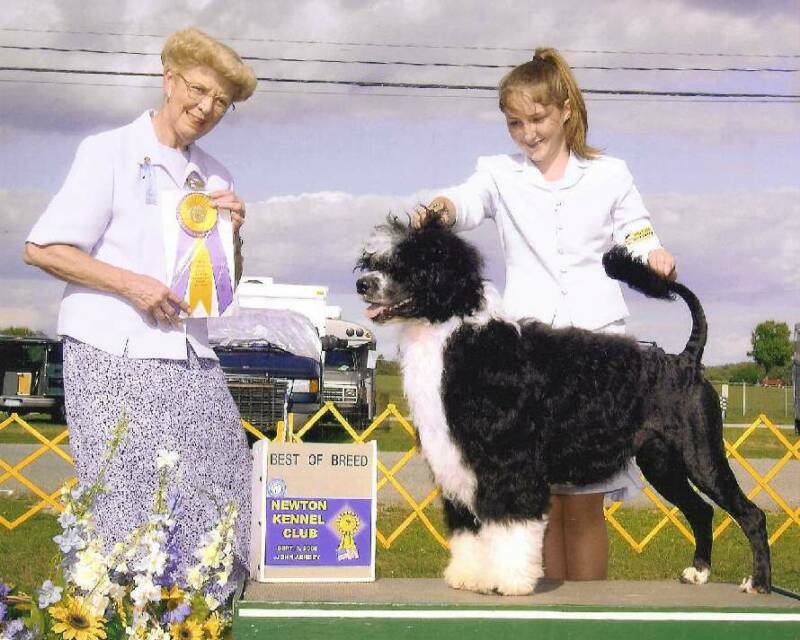 As a 14 year old junior handler, Colleen helped rank Baker in the Top Ten in 2006. 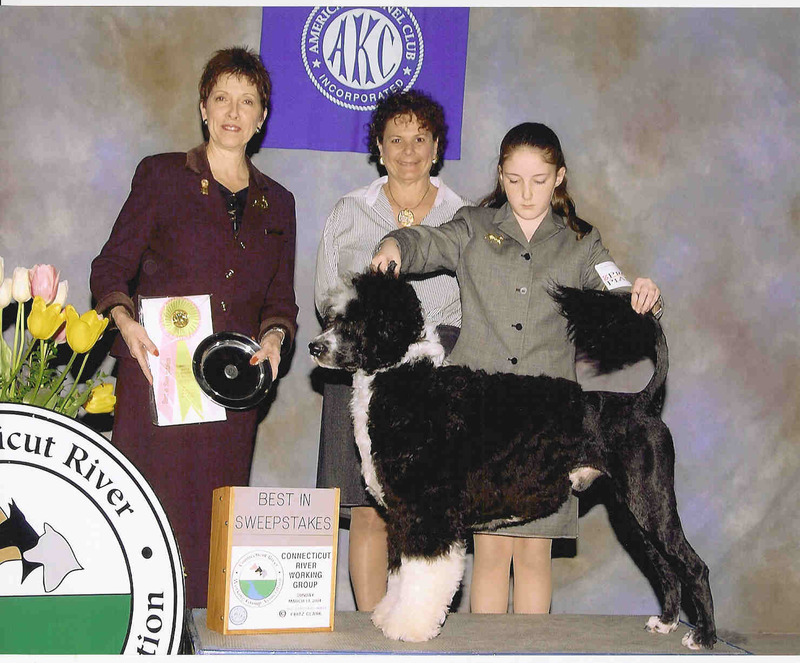 Appropriately, his Mom, Karen, finished the job with the Best of Breed wins pictured at top of page. 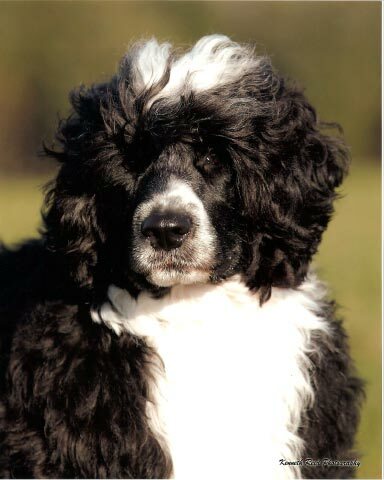 Baker retired from the breed ring in December 2006 and went on to earn his first Rally O title in 2007 as well as his first water title. 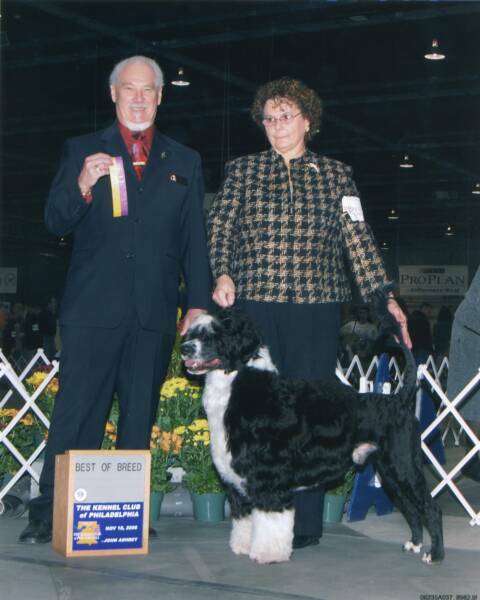 In 2008 he earned multiple agility titles and his Working Water Dog title. At the 20010 PWDCA National he was awarded the Bronze Register of Merit and at the 2011 National the Silver Register of Merit. 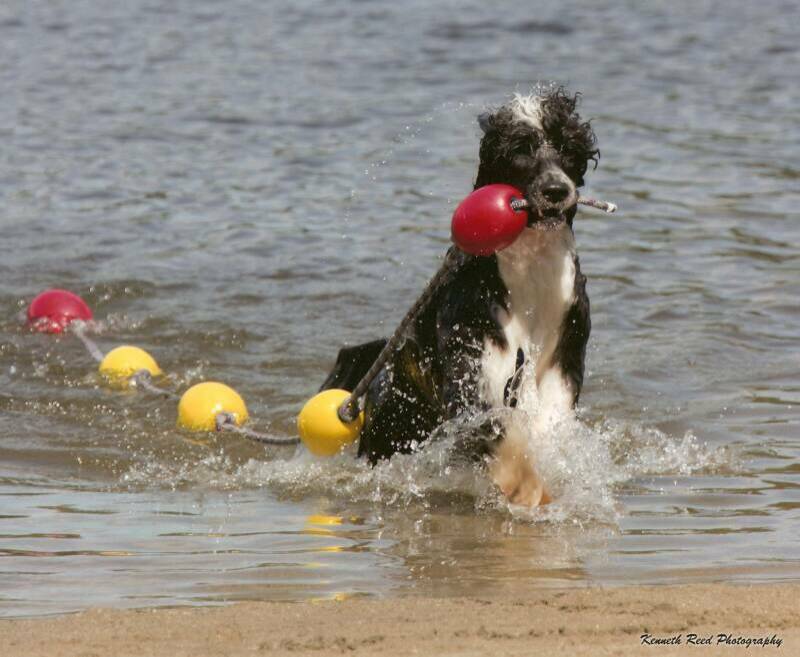 Baker is now retired and romping the beaches of Cape Cod.